Carlos Sanchez is charged with aggravated assault with a deadly weapon. 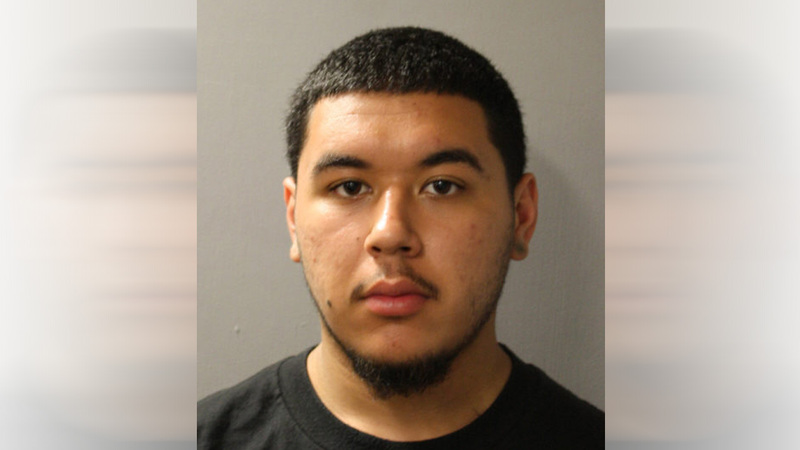 HOUSTON (KTRK) -- Deputies say they arrested a driver who allegedly pulled out a gun and fired it at another vehicle following a road rage incident in north Harris County. On Monday evening, a man flagged down a deputy in the 4500 block of Reynaldo Drive and said he got into a car accident with another driver who then pulled out a gun and started yelling at him. The victim said he sped away, but the suspect caught up and confronted him once again. When the victim tried once more to drive off, the suspect opened fire, striking the victim's car. Deputies found the suspect's car parked nearby. They eventually tracked down Sanchez and, after an investigation, arrested him. "Violent road rage incidents have been on the increase in recent years across the country and within Harris County," Constable Mark Herman said. "The driver in this situation did the right thing by attempting to drive away from the aggressor and call police. The worst thing you can do in a road rage situation is to meet their rage with your own." Sanchez is being held at the Harris County Jail.